When Maya Angelou died on May 28, 2014 at age 86, the world lost a poet, professor, performer, and polymath who brought a sense of dignity and possibility to everything she touched. Think you “know why the caged bird sings?” Then take the quiz! 1. Born in St. Louis, MO, on April 4, 1928, Maya’s birth name was _______. 2. When Maya was seven, her mother’s boyfriend raped her, and when she told relatives about it, he was subsequently murdered. In the aftermath of the violence, Maya stopped speaking for ___ years. 3. As a teenager, Maya became the first female African-American streetcar conductor in what city? 4. A prolific writer, Maya was best known for her series of seven autobiographies, beginning with 1969’s I Know Why the Caged Bird Sings, and ending with 2013’s _______. 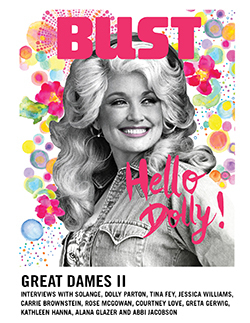 This article originally appeared in the August/September 2014 print edition of BUST Magazine. Subscribe today! How Well Do You Know Toni Morrison? Take This Quiz To Find Out!